Please note that Dal Libraries, in consultation with the Faculty of Computer Science, has decided not to renew our subscription to Safari Tech Books, a subscription that provided access to 69 titles. Read our blog post for more info. Use this database to explore the business-side of electronic commerce. The relationship between computer science and psychology includes cognitive science, human factors, human-computer interaction, the social aspects of computer use and product-design methodology. Health and Medicine use technology and informatics for computer-assisted diagnosis, electronic health records, the modelling of mapping of outbreaks and disease occurrence, plus the design and programming of specialized equipment. These Google search boxes are routed through a proxy so the results of your search are linked directly to Dal resources whether you're on or off campus. If the Killam Library is open, you can ask a staff member for help. 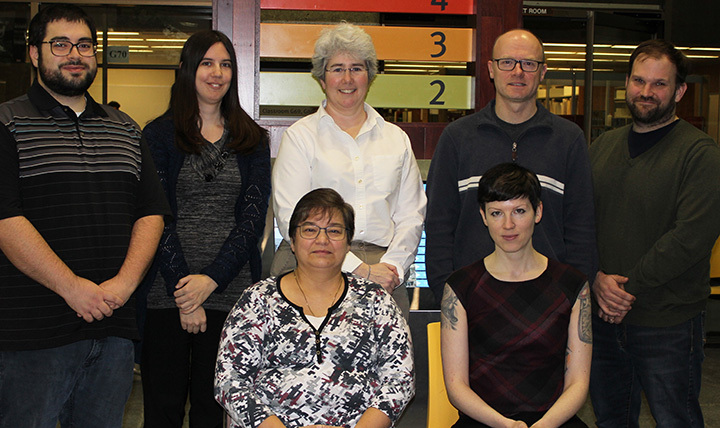 Killam Librarians are available at the KLSP to assist you during the posted Desk Hours. Use our Chat Service to Ask Us your Question.